Corkscrew Willow, Salix matsudana ‘Tortuosa’, is a Large sized tree and can grow over 50’ tall. 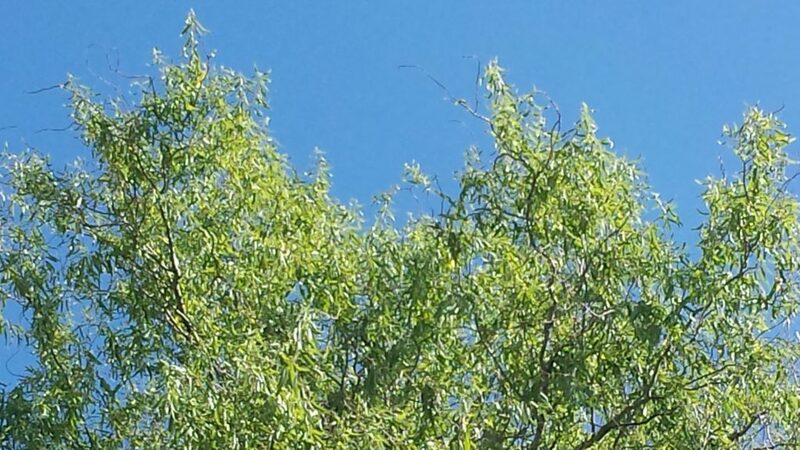 Although related to the well know weeping willow the corkscrew willow has an upright branch structure. 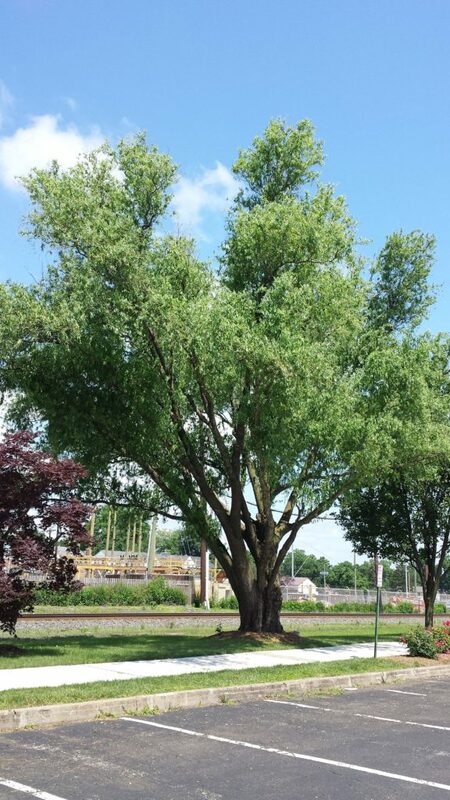 The Salix genus has more than 400 species! 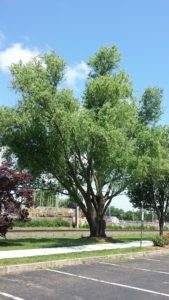 The corkscrew willow is a good specimen tree, however due to its aggressive roots and short life span it should be placed with care. As with most willows this tree likes its feet wet. 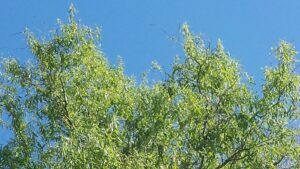 Willows are also the first tree to have leaves in the spring and are the last to lose them in the fall. Our Heritage Corkscrew Willow, North of the Gazebo, is a Dumont Heritage Tree because the diameter of the tree is over 3 feet at 4’6″ above the ground and because it is estimated to be over 50 years old. Look north and up to find our ancient Corkscrew Willow in the Heritage Tree section. Find our baby Corkscrew Willow near Madison Avenue. 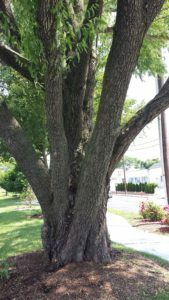 This younger tree was transplanted by Anna Fisichella from the Thielke Arboretum of Glenrock through the NJ Master Gardeners Program. We expect it to grow to a mature size in about 20 years.